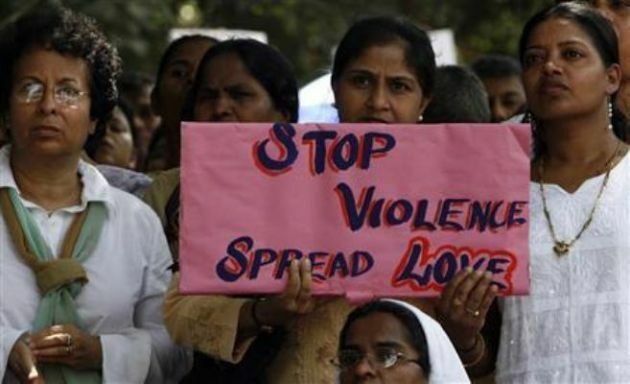 Christian communities in India were attacked at least 25 times over Christmas because of their faith, with pastors dragged by hundreds of radicals, beaten and bloodied. International Christian Concern documented 25 instances of persecution over the holidays, including one particularly violent incident in Lakhan Mau village, Uttar Pradesh state. There, 200 Hindu radicals armed with clubs and iron rods attacked 50 Christians, including pastors Ashok Massih and Rajeev Kumar. Massih and Kumar were reportedly dragged by the mob to an open place and beaten. They were accused by the radicals of committing blasphemy. Another documented attack occurred on Dec. 23, this time at New Life Fellowship Church in Kowad village, Maharashtra state, when masked radicals attacked Christian worshipers. The believers were attacked with knives, swords and beer bottles, leaving several of them needing medical attention. New Life Fellowship Church Pastor Bhinset Chowan further revealed that after having rented a building for church services for the past 17 years, the landlord has now evicted the congregation due to pressure from radicals. ICC reported that it recorded 23 other attacks over the Christmas season, making it a "discouraging and painful" one for Christian communities in the Hindu-majority nation. Pope Francis: The resurrection is the most shocking event in human history Vatican City, Apr 22, 2019 / 05:05 am (CNA).